Without question I use hearing and eye protection each and every single time I go to the range even when just shooting .22 rifles. On occasion hearing protection becomes a bit inconvenient especially when listening for range commands, a tactical situation, or when just carrying on a conversation someone at the range. Most non-electronic hearing protection simply mutes all sounds including conversations. When shooting rifles, the big ear muffs just get in the way, so many times we just stuff in disposable foam ear plugs and make due. SensGard has a solution to these problems with their simple, compact and effective SensGard ZEM Hearing Protection. At first glance, you may think you have seen what resemble standard headset style ear protection, however there is more to this innovative hearing protection than meets the eye and far more compact and convenient than other hearing protection. ZEM technology develops a number of audio related products based on the years of research and development by a renowned audio research authority, Dr. Jozef Zwislocki, distinguished Professor Emeritus at Syracuse University. The ZEM technology wave cancellation provides users with noise cancelation of harmful and louder sounds without the electronics and has applied it to products ranging from hearing protection and external noise reducing audiophile headphones. According to ZEM, the SensGard hearing protection works by directing sound away from the ears. Sonically sealed chambers act as an extension of the ear canal. 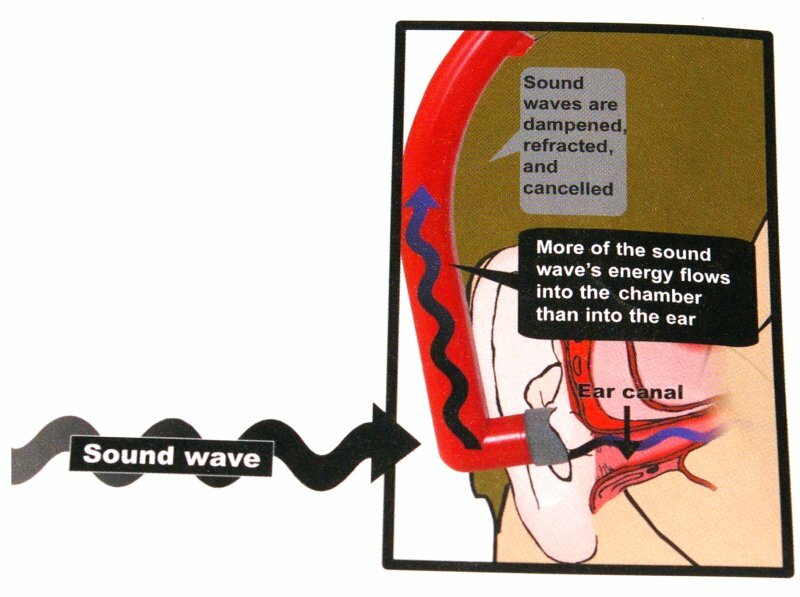 They form a vacuum that pulls harmful sounds away from the sensitive ear anatomy. 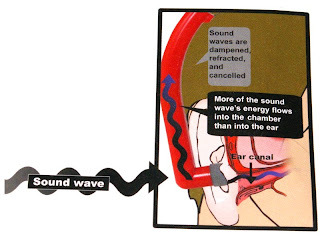 The chambers attached to the ear plugs absorb and cancel the concussive sound shock waves of harmful sounds. The length of the ZEM chamber is designed to be most effective in the middle range of sound frequencies. This particular configuration achieves over 32 decibels of noise reduction and does so evenly across all frequencies. In essence the ear protection delivers non-electrical shock wave and noise cancellation. The result is that the ZEM SensGard sound is noise reduction is evenly delivered, speech communication is neither masked nor distorted and sounds are safe and speech in natural. I tested both the SG31 and SG26 models from Sensgard and both worked almost identically, however obviously the 31 provided more hearing protection and were more comfortable to use with larger calibers. The headphone style of SensGard hearing protection is a compromise between the small and lightweight ear plugs and full-sized ear muffs. They slip on easily and quickly adjust to a broad range of head sizes like earmuffs, but provide the small size which does not interfere with shooting like earplugs. The ZEM SensGard is completely adjustable and feels comfortable during long-term wear without becoming uncomfortable. The SensGard hearing protection is also a very light 2oz which you can easily forget you are wearing. That lightweight and comfortable fit makes these my favorite hot weather hearing protection, because I no longer have sweat running down my earmuffs all while working just a well. 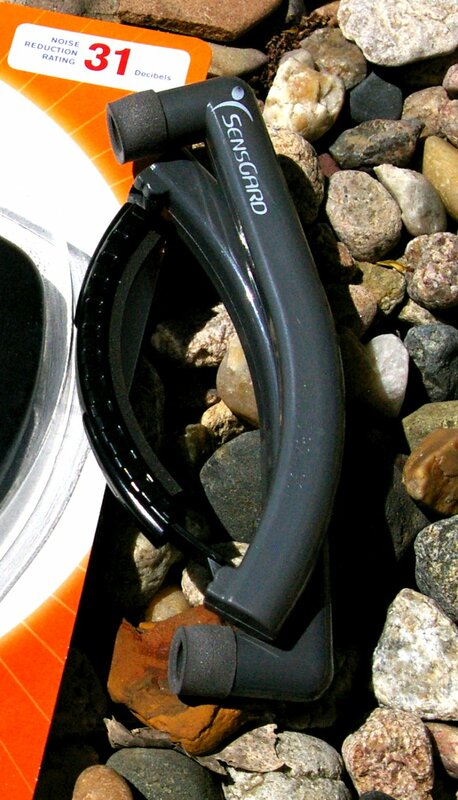 Beyond the simple and light design these ZEM hearing protection fold compactly so you have always have them with you. I found these stored nicely in a M16 ammo pouch very well and provided simple access when needed. From a performance perspective, I believe these are some of the best outdoor firearm hearing protection options around for several reasons. First they work, they are light, comfortable, and unobtrusive which means people will actually wear them. They do pretty much exactly what they say simply and easily. That said indoor ranges you will still want to stuff in your ear plugs and ear muff as I found that that the high decibel shots amplified by the contained shooting range are so loud that even the SG31' 31 DB noise reduction is not enough. These will work and will not leave your ears ringing after an indoor range session or tactical indoor shooting, however you will be far more protected and more comfortable with doubled up hearing protection on indoor ranges. For home defense these are a good option to slip on quickly if time permits to maintain your auditory senses after a shot is fired indoors and still hear things, however I would not recommend them for indoor range use regularly. My experience has been that speech is a little muffled, however nowhere near what is with standard ear plugs or ear muffs. Speech does sound a little muted, but natural. 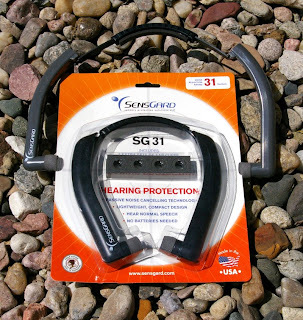 My electronic hearing protection kind of sounds like you put a microphone in a bucket, the SensGard headphones sound more natural and are only around $30. One of the things I really liked about this is my ear were cleaner after shooting. There was a study out a few years back that noted bacterial growth was greatly increased when wearing in-ear plugs for hearing protection or as headphone and recommend new foam plugs with each use or wiping down ear plugs with alcohol between each use... yuck... when is the last time you cleaned your ear plugs. I wipe mine down each time as part of my gun cleaning routine. The ZEM system actually sits on the outer part of the inner ear and do not promote bacterial growth like in-ear ear plugs. For a shooter, I would recommend the SG31 over the SG26 simply because of noise rating. If you want to hear a little more and are just shooting .22 or up to mid-sized handgun calibers or for hunting, the SG26 will allow you to hear more of what is going on. 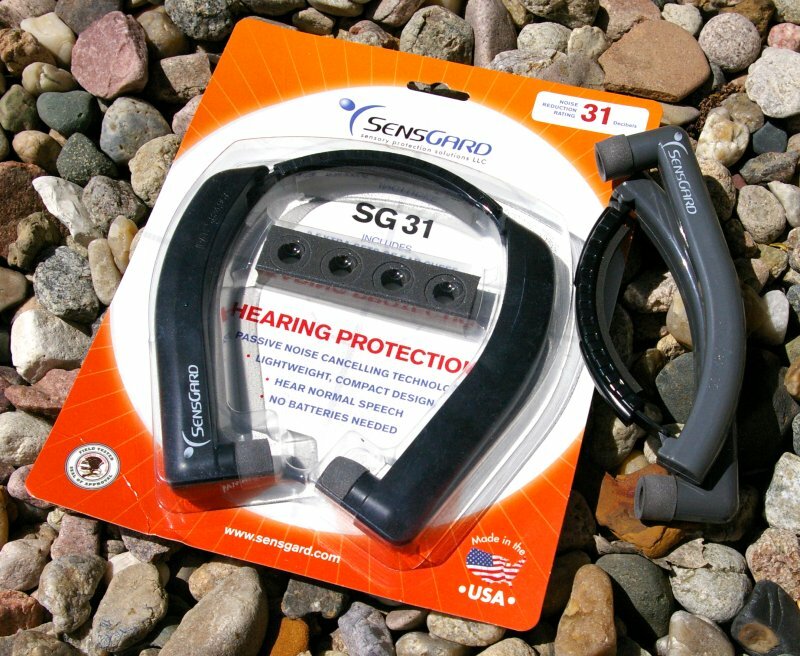 I was so interested in these two Sensgard ZEM hearing protectors for two reasons. First is for a quick option for tactical ear protection for home defense. Ever shot a pistol or shotgun indoors without ear protection? Your ears will be ringing for hours and after the first shot, your ability to hear other audible threats is also gone as well. Optimally, extra hearing protection would be advised for sustained target shooting indoors, however the ZEM Sensgard hearing protection offers a quick tactical option to throw on for home defense which will not reduce the ability to hear what is going on, but still offers hearing protection if shots are fired indoors. My second reason was that these allow normal conversations without taking off the headsets, are inexpensive, fold compactly, and are light and simple hearing protection all without batteries. In hearing protection what more could you want?